Philippa recently attended my Confident Public Speaking Course (the main technique used on this course is EFT). 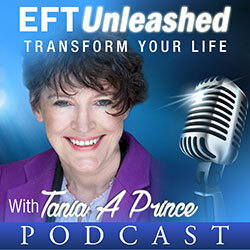 The audio is from the interview I conducted with her shortly after she gave some talks on EFT to groups of teenagers in schools. Some of the interesting things Philippa talks about is how she actually tried to get her fear back…………..unsuccessfully. Interesting isn’t it, when you have had something for such a long time in your life, you just get used to it being there. Another interesting point Philippa makes; she no longer needed to use notes when presenting. Presenting without notes allowed her to be spontaneous and react to what was happening around her. Of course a presenter who is spontaneous can be a lot more engaging than one reading from notes. It is much more fun to not use notes. I just wanted to write and thank both you and Phillipa for a wonderful interview on ‘Fear of Public Speaking’. As you may remember I too have experienced difficulties with standing up and speaking to people during one of your training courses. My experience was identified with your help as a fear of being humiliated, due to an episode at primary school. 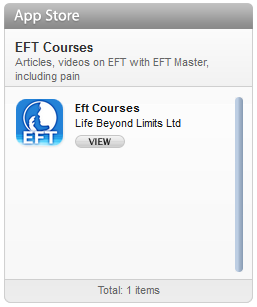 I am now able to stand in front of large groups and talk about the subjects I am passionate about (EFT being my favourite) without feeling embarrassed or fearful. My voice has gained in confidence and many friends and colleagues have notices a huge change. 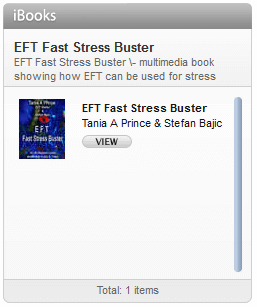 So, well done Phillipa and thanks toTania and EFT!!! !